Posted On : 02 February 2019 | Author : Data Plus Value Team | Tag : Online Data Processing, Outsourcing Data Processing, Data Processing Company India, Data Processing Solutions. Unorganized data could cost you a lot. If you keep well-organized data, it will greatly be helpful in decision-making and will also provide a smooth flow to your business. In case you are stuck with large documents to get it converted into electronic format. Then, outsource your files to a company that provide Large Data Processing Services in volumes. This is the most efficient as well as accurate option. 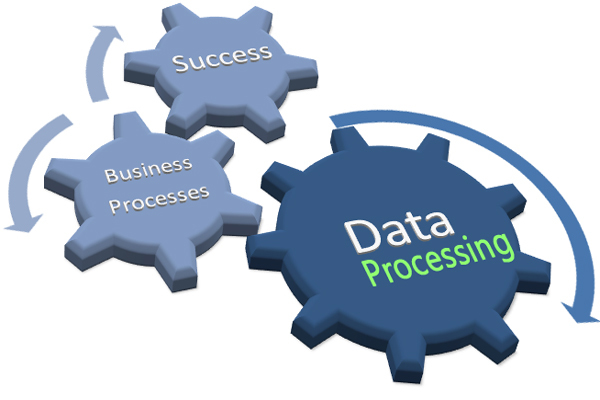 Data processing is defined as the process in which computer programs as well as other processing systems are utilized to summarize, convert and analyze the data in the form of an electronic format. Validation process checks that whether the entries are right or not. Sorting process checks whether sorting is done in sequential format or in various sets. Summarize data - This process creates summarization of data the data into main points. Analysis - This process is related to the analysis, interpretation as well as presentation of the organized and collected data. By outsourcing, you do not have the burden of big volumes of data and further put focus on core business activities.